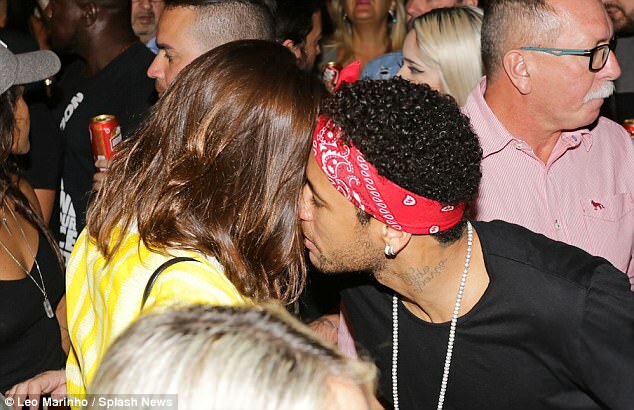 Neymar and his stunning actress girlfriend Bruna Marquezine celebrated Brazil’s World Cup qualification in true Samba style… with a night of dancing at a Sao Paulo music event. Hours after scoring in the 3-0 victory over Paraguay which, with the help of Uruguay’s defeat by Peru, helped the Selecao book their place at next summer’s showpiece in Russia, the Barcelona forward was pictured revelling in his country’s success. He and Bruna, who have been dating on and off for several years, were evidently in high spirits as they got close on the dancefloor. 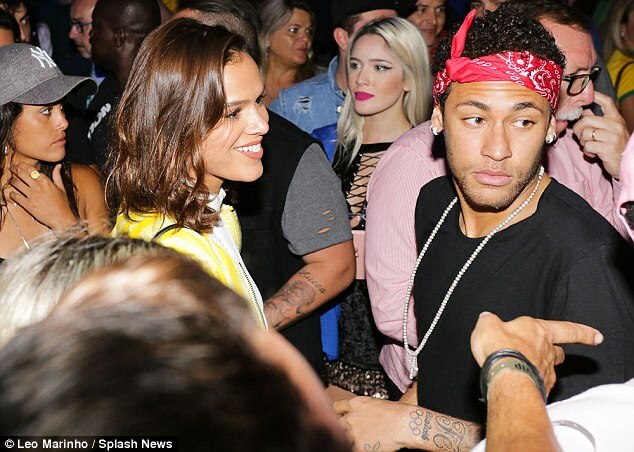 Neymar, wearing a black T-shirt and red bandanna, intermittently sipped on a soft drink between dances with his beautiful partner. Bruna is a 21-year-old actress and model who made her name in soap operas in her home country. The pair’s romance is perhaps the most talked-about in Brazil and came under some strain when the forward swapped his home nation for Catalonia in 2013. However, there was no lost love in the small hours of Wednesday as the couple showed their relationship is as strong as ever. Earlier in the evening, Neymar had scored the second goal in the comprehensive defeat of Paraguay at Arena Corinthians. The Barcelona man also missed a penalty in the South American World Cup qualifying clash, while Philippe Coutinho and Marcelo rounded off the scoring. It was head coach Tite’s eighth consecutive win in qualifying – a continental record – and his ninth in nine games in charge overall. Brazil are the first team, aside from hosts Russia, to reach the 2018 finals.